Gambier Terrace in Liverpool is a row of houses situated on a terrace overlooking St. James Mount and Gardens and Liverpool Cathedral it was named after James Gambier. From number 1 to 10 are Grade II* Listed Buildings. They were designed by John Foster. Together with Hope Street and Rodney Street it forms the Rodney Street conservation area. The workings and operation of the cemetery predate the Cathedral to which it does not belong. 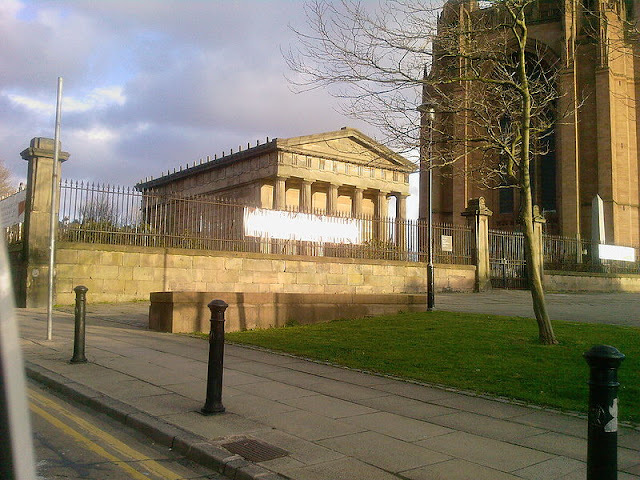 The Cathedral, which began construction in 1903, occupies most of rock outcrop above the cemetery known as St James Mount (also known as Quarry Hill or Mount Zion) that in 1771 was established as Liverpool's first public park. The cemetery has two entrances. At the north side a stone path lined with recycled grave stones descends through a short tunnel between The Oratory and the main entrance of the cathedral. 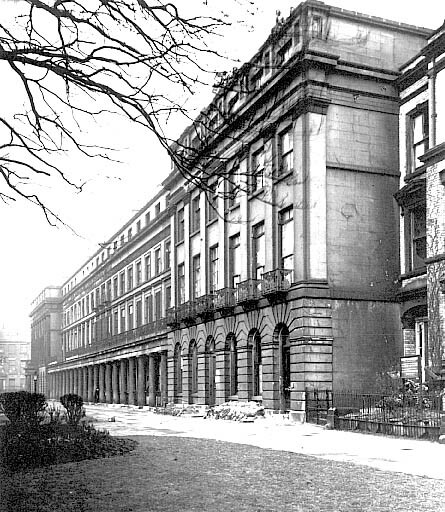 The southern entrance near Upper Parliament Street is through a stone arch between the Garden Lodge and the steps up to the Mount. 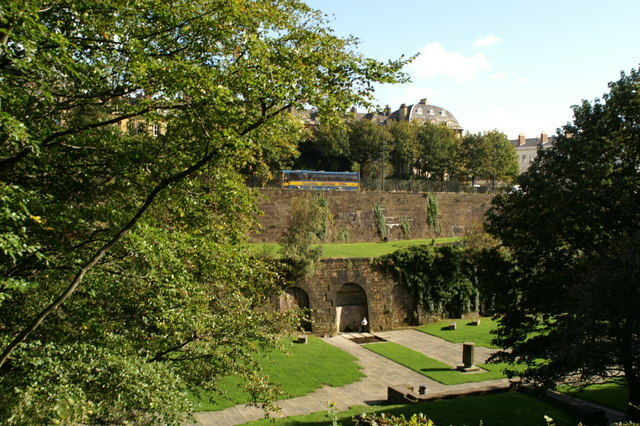 Notable features include the Huskisson memorial, a natural spring and a system of broad ramps lined with catacombs. There is no access from Hope Street. The Oratory stands to the north of Liverpool Cathedral. It was originally the mortuary chapel to St James Cemetery, and houses a collection of sculpture. It has been designated by English Heritage as a Grade I listed building. The building is in the form of a Greek Doric temple. At each end is a portico with six columns. There are no windows and the building is lit from above. Inside, a coffered ceiling is supported by Ionic columns. Pollard and Pevsner consider this to be Foster's best surviving building. On 28 June 1952 it was designated as a Grade I listed building. In the National Heritage List for England it is described as "one of the purest monuments of the Greek Revival in England". Around the Oratory are cast iron railings and gate piers that have been listed at Grade II. Inside the building is a collection of monuments, mainly neoclassical reliefs, many of which were brought here from demolished buildings in the 1980s. These include a monument dated 1834 to the Nicholson family by Francis Chantrey, one to William Earle, who died in 1839, by John Gibson, to Dr William Stevenson, who died in 1853, by J. A. P. Macbride, to William Hammerton, who died in 1832, by Gibson, to William Ewart, who died in 1823, by Joseph Gott, to Emily Robinson, who died in 1829, by Gibson, and to Agnes Jones, who died in 1868, by Pietro Tenerani. 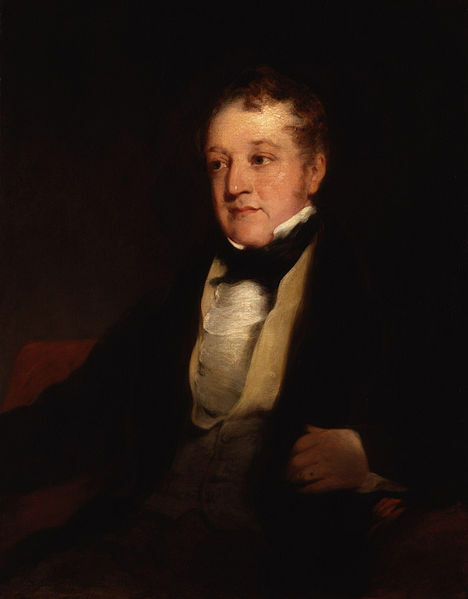 There is also a statue of William Huskisson by Gibson that was formerly in the Custom House. The original stone quarry began operation in the 16th century. The tunnel workings (most of which are blocked) probably happened in the 18th century. In 1773 the quarry workers discovered a running spring, which still flows today. There were windmills in operation at the edge of the quarry until the 1820s. The quarry was exhausted in 1825. In 1826 the young architect John Foster Jr was commissioned to design and lay out a cemetery along the same lines as Père Lachaise Cemetery, Paris with £20,000 raised by public subscription. On the high ground at the north Foster built the windowless Oratory in the style of Greek Revival architecture to accommodate funeral services before burials took place in the cemetery. To the south, Foster built a monumental arch and porter's lodge out of the same stone. After years of being used as a property of the council for its workmen, it was refurbished into a private home in 1997. 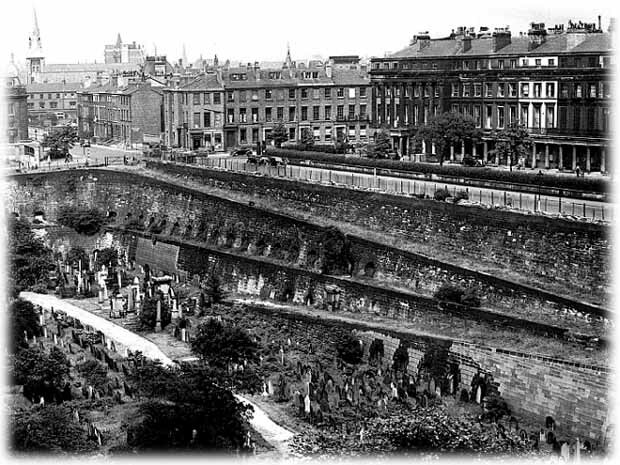 The cemetery was closed in 1936 after 57,774 burials and subsequently fell into a state of disrepair. 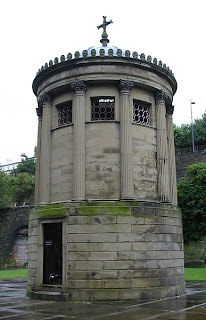 The monument where William Huskisson is buried stands near the spring. A Victoria Cross holder, Sergeant Arthur Herbert Lindsay Richardson (1872-1932), is buried here.